Eliza Kruczkowska, Chief Innovation Officer at Polish Development Fund, a State-owned financial group which offers instruments supporting the development of companies, local governments and individuals, and therefore contributes to sustainable social development and national economic growth. She used to be the CEO of Startup Poland, a grassroots organization which is aimed at creating better conditions for Polish startups by influencing policy-makers, educators, academics, and media. She has extensive experience in politics, PR, and media, as well as in NGOs. In the past, she worked in Madrid at Internet Advantage, in London at the Evening Standard, and also in Munich at Lewis PR. 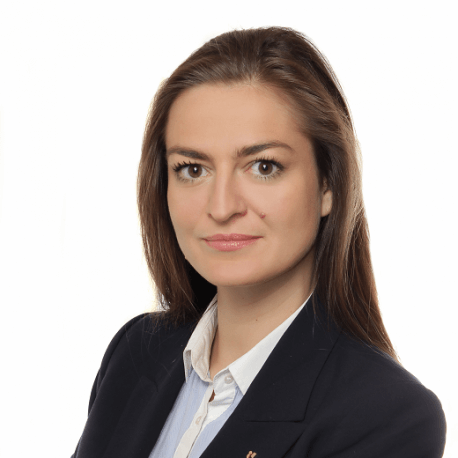 She was appointed as the head of media relations for the member of Polish Parliament and has a background in journalism as well as in international relations. Most recently, she worked as the director of communications for the ePaństwo Foundation – the NGO that releases public data and runs initiatives such as Code for Poland.